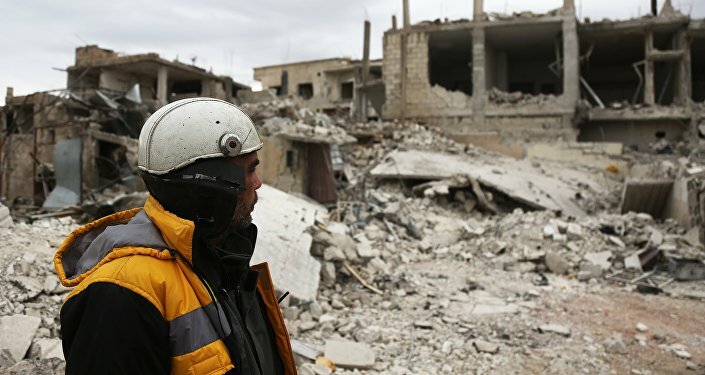 "The enemies of Syria got into the country under many different banners and guises, and the White Helmets is only one of many," Kadi told Sputnik. 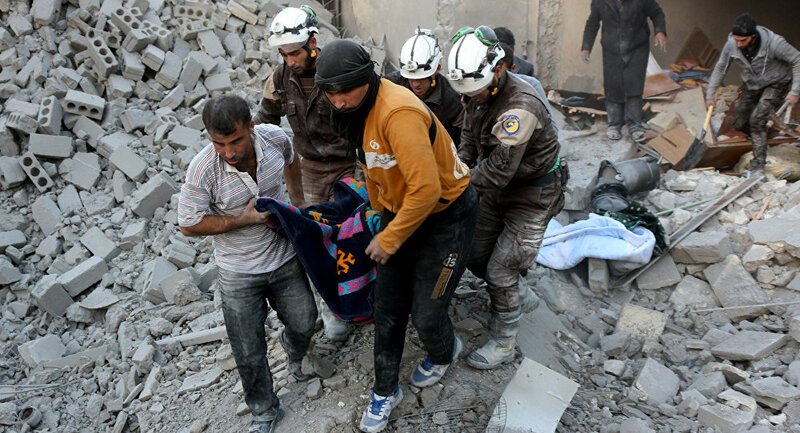 "That said, the so-called White Helmets were known to be mainly in Syria's north, previously in Aleppo and recently in the Idlib region. So how did they allegedly end up in the South without a deal that facilitated their transport to that area? Such a deal would have required the consent of the Syrian government, but there is no such deal." The political analyst presumed that "given the 'good name' the Western media gave the White Helmets as the alleged defenders of the 'victims of the regime,' the name White Helmets is probably now been used as a cover for every important asset that the enemies of Syria want to help leave Syria under the guise of helping the 'heroes.'" "Most probably, those assets include Western, Israeli, Saudi and United Arab Emirates (UAE) military operatives and advisors and there is no better face-saving manner that would facilitate their exit other than branding them as White Helmets," Kadi suggested. "And let us not forget that the white helmets themselves are not stitched on the heads of their bearer," he added. "Anyone can wear a white helmet and become a White Helmet, just like former terrorists which left Syria into Turkey and then entered the EU as refugees." Christopher Assad, a Canada-based political observer and writer of Syrian origin, echoes Kadi's concerns. He presumed that among the evacuees could be "specially trained operatives." According to Assad, "this is the only reason they are being rescued instead of the hundreds of civilians stuck in the middle of military operations in southern Syria, whom these people were supposed to help." "As a Syrian, I deplore the propaganda role assigned to these terrorists by their Israeli, Arab and Western handlers," Assad stressed. The political observer pointed out that Syria has had its own national branch of the International Red Cross and Red Crescent society since 1954. He stressed that Damascus had also established the institution of Civil Defense in 1953, which is "64 years before the so-called White Helmets suddenly appeared in order to fake chemical weapons attacks for the benefit of Western audiences and to garner pity for al-Nusra Front* terrorists with Western public opinion." According to Assad, the West's concerns over the evacuation of the NGO are quite understandable given previous reports about French, Belgian, German, Canadian, Israeli, British, Dutch and American operatives among rebels in Syria. "In order to avoid the blame game on why they have lost the war in Syria, the US, Canada and the UK instructed Israel to help, via the Western intelligence hub in Amman, so that the rapprochement between all Western partners in the war on Syria can remain intact as no party wishes discord between these partners in crime," the political observer opined. "The White Helmets evacuation by Israel was predictable as the group has been working together with Israel, the US and also various terrorist groups," Philip Giraldi, a former CIA case officer and US Army intelligence officer, emphasized. "They have never worked in areas where the Syrian [Arab] Army has had control and are little more than terrorist apologists." According to the CIA veteran, "the US and Israel want to get the White Helmets out of the country so they cannot be questioned by journalists and the Syrian government, which would reveal their affiliation with the terrorist groups and also the Israeli and US military." "They are afraid that the Syrian Army will arrest them on sight, with good reason as they are an affiliate of the terrorists," Giraldi underscored. For his part, Israeli political analyst and publicist Avigdor Eskin opined that Israel's actions at the request of the US, Canada and the EU had prevented a potential bloodshed by allowing the White Helmets to flee the theater of war. "Four hundred White Helmets and their family members were allowed to enter Israel and to continue to Jordan," Eskin said, suggesting that the move had contributed to the peaceful settlement in the war-torn country. According to Jordan's Foreign Ministry, 422 out of 800 White Helmets volunteers and their family members have been evacuated by the Israeli military.